Underground Supply Co. is a unique online hub that provides it’s users with access to competitively priced performance supplements; bodybuilding; body-transformation and beauty services; and visual inspiration and an approachable online community for like-minded individuals. A flavoursome blend of Autumn Pear and Crisp Apple make up this refreshing cider. Let it cool your mind, warm your heart and tickle your fancy. Made in Sunny Australia for any season. This band is everything all rolled into one. Psychadelic, rock-God, soulful and melodic sounds melt and smash together to connect and share their immersive musical experiences with open-minded free spirits. The OneStep brand connects life-giving and powerful feminine and masculine energies with the diverse range of genres they they masterfully thread into their masterpieces. Creating a visual language to work across the Australian Indigenous Health InfoNet's various touchpoints. These visual elements include pictograms, a specialised typeface, infographics and campaigns materials such as posters. West Coast Records celebrates the majestic and graceful elements of nature that make WA the home and inspiration to such a wide variety of talented musicians. Using the acronymn "WCR" within the feathered shape of a swan, we were able to communicate both WA natural beauty and the values of engagement and curiosity by utilising the design technique of "visual closure" to draw viewers into the story. 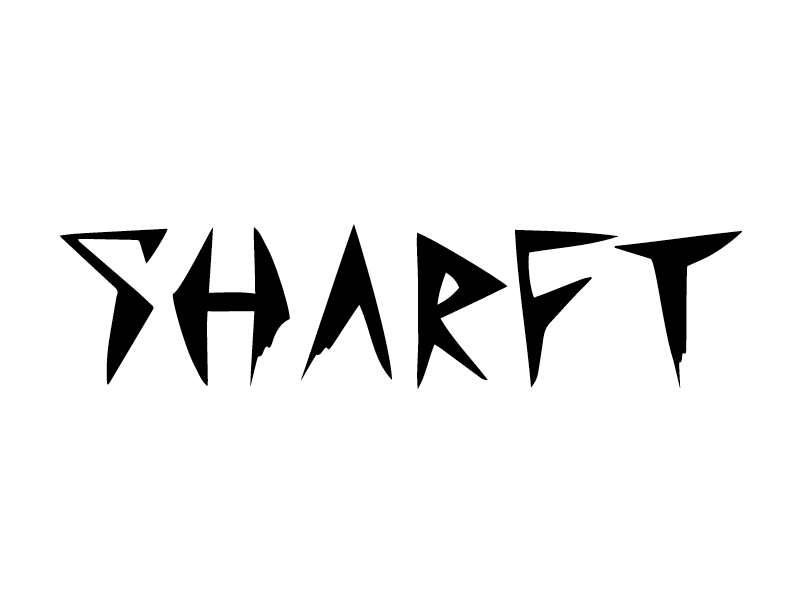 Sharft is a fictional "swear word" created to explore the political and environmental shark-culling issue in Western Australia. "Sharft" means "To recklessly obliterate without due consideration" by amalgamating the action "to shaft" with the aimal at the heart of the issue, the shark. The complementary typeface "Sharft" was developed to give visual meaning to the topic.